Both programs are separate training programs trained by Canada Safety Council instructors. 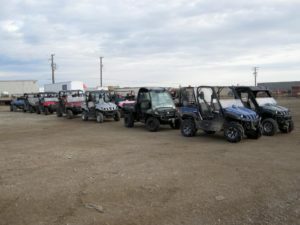 ATV covers All Terrain Vehicles, UTV covers Utility Vehicles (also referred to as Side by Sides). Each program is an 8-hour program that helps students identify the risks involved in a variety of maneuvers with the particular piece of equipment they are using and how to manage that risk. 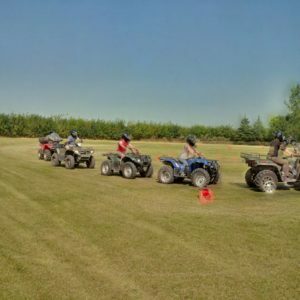 The programs are carried out on a driving “range” that is under the care and control of an instructor at all times. Students will be outdoors and are at a remote location for the majority of this course and will need to be prepared accordingly. Upon completion of these classes, a Canada Safety Council certificate will be issued. This course includes an in-vehicle training session which will take place in the student’s vehicle which must be in good working order.